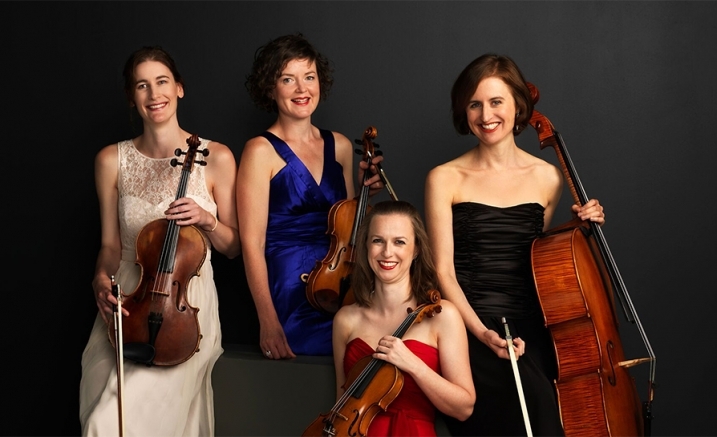 Acclaimed Melbourne string quartet Quartz unites violinists Kathryn Taylor and Philippa West, violist Merewyn Bramble and cellist Zoe Wallace in refreshing concerts of classical and contemporary repertoire. America truly shaped its unique voice in music in the early 20th century, in works of incredible originality and soul. With Melbourne string quartet Quartz, admire the character of Gershwin’s swinging blues melodies, and two rich and soaring quartets by Barber and Dvořák. Featuring Barber’s famous Adagio, these universally loved gems are favourites in the string quartet repertoire. Quartz’s unique programs shine a light on the string quartet repertoire by highlighting well-known pieces of beauty and energy. Purchase the Quartz two-concert package and save!